INDIANAPOLIS, August 25, 2011 -- Global Water Technologies, Inc. (OTC Markets: GWTR) announces the company will begin trading as GWTR on August 25, amid increasing attention on the need for better water technology around the world. There's a growing need for innovative new solutions to enhance water treatment and improve efficiency in using the world's most precious resource, said CEO Erik Hromadka, noting the focus on water in an urbanizing world at the annual World Water Week event being held in Stockholm. 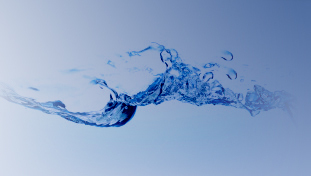 As a small water technology company in the United States, Global Water seeks opportunities to connect investors with new opportunities to make better use of water resources. Ballast water treatment, water infrastructure monitoring and extracting energy from wastewater are areas of interest that the company has been exploring. Global Water Technologies is also participating in a new regional water technology initiative being developed by the United States Environmental Protection Agency (EPA) and Small Business Administration (SBA). The Water Technology Innovation Cluster works to develop and commercialize innovative technologies to solve environmental challenges and spur sustainable economic development. The cluster is harnessing regional expertise in the Indiana, Ohio and Kentucky region, which includes the EPA's national research & development lab in Cincinnati. Global Water Technologies is a small cleantech company that seeks to identify, develop and commercialize proprietary new technologies to increase water and energy efficiencies. Over the past 60 days, Global Water Technologies has successfully completed a reverse split of its common stock, upgraded its status on the OTC Markets and received regulatory approval for electronic trading. The company now has 8,535,805 shares of common stock outstanding.